Roger Murphy, age 64 of Van Lear passed away Tuesday evening at his home. Born September 9, 1947 in Johnson County to the late Leroy Murphy and Maudie Allen. He is also preceded in death by one daughter, Rhonda Murphy. He is survived by his wife, Dareatha (Dee) Caudill Murphy on Van Lear; one brother, Lester Murphy of Auxier; and one sister, Hester Bowling of Van Lear. Funeral services will be held Friday May 18, at 12PM in the chapel of the Phelps and Son Funeral Home of Paintsville with burial to follow in the Murphy Family Cemetery at Van Lear. Manford Fannin will officiate. Friends may visit the funeral home Thursday from 12-9PM. Arrangements are by the Phelps and Son Funeral Home of Paintsville. Margaret Ratliff, age 88 of West Van Lear passed away Saturday May 12, 2012 at the Mountain Manor Nursing Home in Paintsville. Born April 4, 1924 in Johnson County to the late Oliver Spradlin and Amanda Pelphrey Spradlin. Margaret is survived by two daughters, Patsy McClure of West Van Lear and Sue Ward of Auxier; five grandchildren and six great grandchildren also survive. There will be a graveside service Wednesday, May 16, at 2PM at Lakeview Cemetery at Staffordsville. David Joe Blevins will officiate. There will be no visitation. Arrangements are by the Phelps and Son Funeral Home of Paintsville. 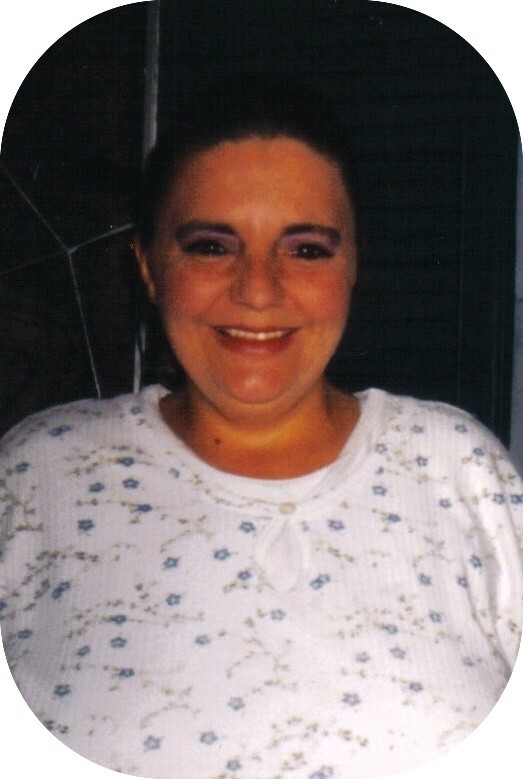 Jacqualine Mills, 47 of Kermit, passed away Sunday, May 13, 2012 at Williamson Memorial. Born November 28, 1964 to the late William and Jean Moore Farra. In addition to her parents, she is preceded in death by her husband, Albert Mills; one sister, Linda Carol Farra. She is survived by two sons, Arthur (A.J.) Farra and Billy Joe Farra both of Williamson WV; one brother, William Farra Jr. of Kermit; two sisters, Lessie Fannin of Tomahawk, and Tiffany Bowen of Louisa. Funeral services will be 10 AM Wednesday, May 16, 2012 in the chapel of Phelps & Son Funeral Home with burial to follow in the Mills Cemetery at Inez. Tim McCoy will officiate. Visitation will be from 5 to 10 PM Tuesday at the Funeral Home. Arrangements are under the direction of Phelps and Son Funeral of Inez. 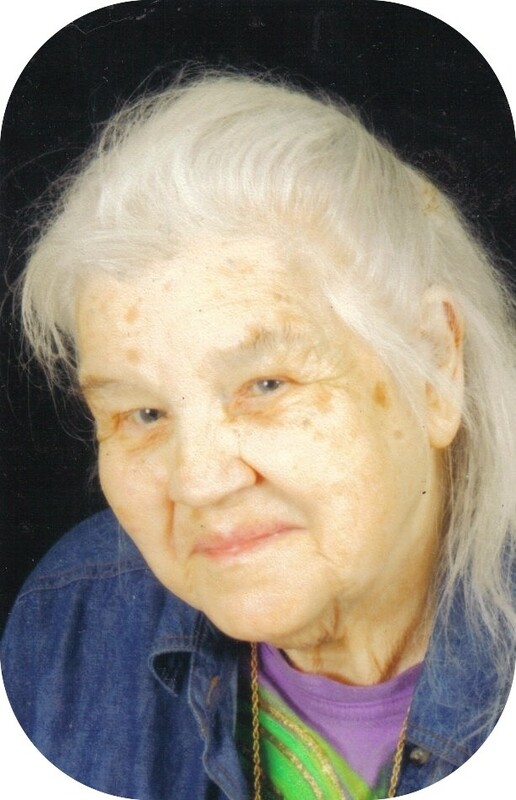 Bessie McCoy Baisden, 91 of Kermit, passed away Friday, May 11, 2012 at Three Rivers in Louisa. Born August 27, 1920 in Wayne County, she was the daughter of the late Monteville and Mary Jane Pack Bowen. In addition to her parents, she is preceded in death by her first husband, Howard McCoy; her second husband, George Baisden; one son, Douglas McCoy; one daughter, Mary Muncy; three brothers, Aubrey, Arthur and Woodrow Bowens; five sisters, Hailey Prince, Ruth Farris, Verna Wellman, Mable Kent, and Barbara Ettters; and two grand daughters, Jennifer Hodge and Patty Jenkins. She is survived by one son, Robert (Marilyn) McCOy of Richmond, KY; five daughters, Kaye Provost of Bowie, Texas, Dianna (Jake) Hodge of Kermit, Teresia Hodge of Kermit, Barbara Chadwick of Wichita Fall, TX, and Geneva Newton of Henrietta, TX; twenty-three grandchildren, forty five great grandchildren and seven great great grandchildren. Funeral services will be 11AM Tuesday, May 15, 2012 at the Welcome Home Church on Jenny’s Creek with burial to follow in the McCoy Family Cemetery at Stonecoal. Daniel Perry and Freddie Messer will officiate. Friends may visit the church after 5PM Sunday and all day Monday. Arrangements are by the Phelps & Son Funeral Home, Inez. Billy Joe Harless, age 27 of Louisa, passed away Friday, May 11, 2012 in Louisa. Born February 8, 1985 in Louisa, he was the son of Winford Harless of Louisa and Ivory White Harless of Inez. In addition to his parents, he is survived by his wife, Laura Endicott Harless; two sons, Isiaih and Haden Harless of Louisa; one daughter, Haylee Harless of Louisa; six brothers, Leroy Harless of Louisa, Billy Harless of Paintsville, and George Harless of Inez, Bradly Harless and Jordan Harless of Louisa and Ray Marcum of Inez; three sisters, Edna Daniel of Inez, Loretta of Florida, and Gene Spence of Inez. 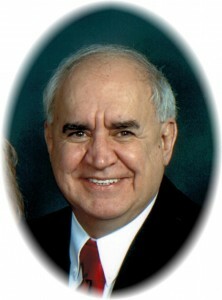 Billy Joe is preceded in death by a brother, Winford Harless, Jr.
Emitt McCoy, 74, of Grove City, passed away May 9, 2012. He was born June 26, 1937 in Inez, KY. He was preceded in death by parents, Wheeler and Ada McCoy and 8 siblings. Emitt is survived by his loving wife of 49 years Patricia McCoy; children, Lois (Brad) Hegwood and Lynda (David) Bowens; sister, Norma (Don) Medors; grandchildren, Christina (Dan) Laemmle, David Andrew (Nina) Bowens, Dylon Bowens and Johnathan Hegwood; great-grandchildren, Liam Laemmle and Brady Bowens and many nieces, nephews and friends. Visitation will be held from 4:00 to 8:00 PM Sunday, May 13, 2012 at Newcomer Funeral Home SW Chapel, 3393 Broadway, Grove City, OH 43123. Funeral services will be held at 11:00 AM Monday, May 14, 2012 at Southwest Free Will Baptist Church, 1542 Greenleaf Rd., Columbus, OH 43223. Burial at Obetz Cemetery. In lieu of flowers donations may be made to The American Cancer Society or Mount Carmel Hospice. 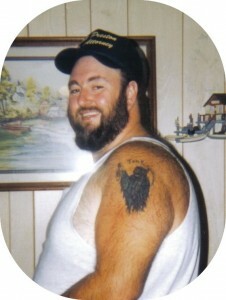 Danny “Tank” Daniel age 53 of Lowmansville passed away at his home Thursday, May 10, 2012. Born August 5, 1958 in Johnson County to the late William Daniel and Ruby Daniels. He is survived by his wife, Sandy Hayes Daniel; one son, Buddy Stapleton of Summersville, WV; two daughters, Ashley Harmon of Hager Hill, Tina Stapleton Niece of Thelma; four brothers, Fred Ratliff, Vencil Ratliff both of West Van Lear, James Daniel of Staffordsville, Raymond Daniels of Ulysses; one sister, Joyce Hughes of Tampa, Florida; and six grandchildren also survive. Funeral services will be held at 1PM Sunday May 13, 2012 in the chapel of the Phelps and Son Funeral Home of Paintsville, with burial to follow in the Daniel Family Cemetery at Tutor Key. Jim Price will officiate. Friends may visit the funeral home Saturday evening from 5PM until 9PM. Arrangements are by the Phelps and Son Funeral Home of Paintsville. In lieu of flowers contabutions can be made to the funeral home to help defer the cost of the services. Funeral services will be 11AM Monday, May 14, 2012 at the New Friendship United Baptist Church. Granville Sweeney will officiate. Friends may visit the church after 4PM Saturday and all day Sunday. Arrangements are by the Phelps & Son Funeral Home, Inez. 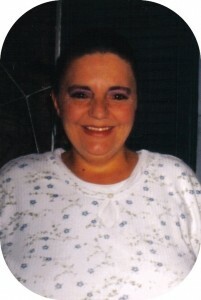 Brenda K. McKenzie, age 54 of Thelma, passed away Tuesday, May 8, 2012 at Paul B. Hall in Paintsville. 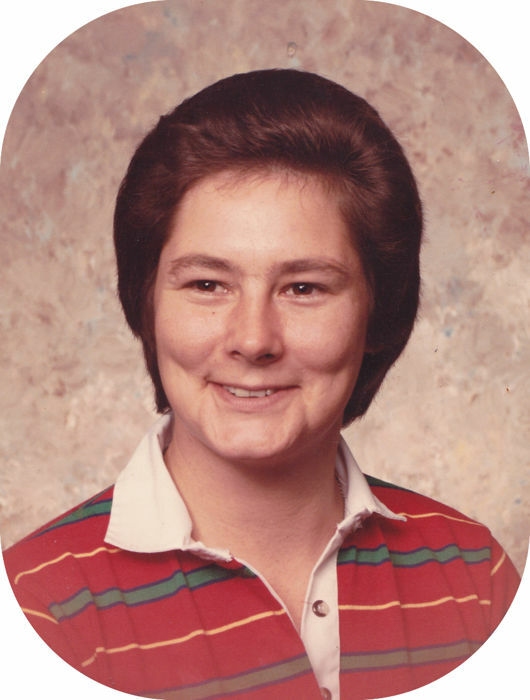 Born August 6, 1957, she was the daughter of Helen Jean Lemaster McKenzie and the late James McKenzie. She is survived by her mother, Jean. Funeral services will be 1PM Friday, May 11, 2012 in the chapel of the Phelps & Son Funeral Home with burial to follow in the Cantrell Family Cemetery at Hager Hill. Lori Vannucci will officiate. Friends may visit the funeral home from 12-9PM Thursday. Arrangements are by the Phelps & Son Funeral Home, Paintsville. Sammy Baisden, age 56, of Crum passed away Monday May 7, 2012 at his residence. Born November 17,1955 in Williamson WV to the late Robert and Annie Sammons Baisden. He is survived by three brothers, Edward B and Jessie Baisden both of Jennies Creek WV and Robert Baisden Jr. of Crum WV; three sisters, Joanne Clevenger of Carter Co. KY, Bertha Whitt and Mary Jean Baisden both of Jennies Creek WV. Funeral services will be 1:00 PM Friday at the Old Jennies Creek Church with Freddie Messer officiating. Burial will follow in the Baisden Family Cemetery on Jennies Creek. Visitation will be after 5 PM Wednesday all day Thursday at the church. Arrangements by the Phelps & S0n Funeral Home of Inez. Fred McCoy , age 56, of Warfield passed away Monday May 7, 2012. Born May 2, 1956 to the late Jobie and Shirley Mounts McCoy. Also preceding him in death is one brother, Perry Lee Mounts. Survivors include his wife Rebecca Reynolds McCoy of Warfield; one son, David McCoy of Beauty; one stepson, David Maynard of Prestonsburg; one grandson, Jared McCoy; one daughter, Shana McCoy of Columbus, Ohio; two step-daughters, Jennifer Jo Pack of Kise, KY and Christa Renee Horn of Saratoga N.Y; two brothers, John Curtis Mounts of Gilbert, WV and Paul Mounts of Conn; four sisters, Effie Spaulding of Columbus, Ohio Anna Rae Tena of Columbus, Ohio, Debbie Heartman of San Diego, California and Sandy Adkins of Beauty, KY; and three grandchildren. Friends may visit the funeral home from 5-9PM Wednesday. Arrangements are by the Phelps and Son Funeral Home of Inez. Jay W. Stanley, 55, of Crum, WV went home to the Lord on Thursday May 10th, 2012 at Fort Walton Beach Sacred Hospital due to heart complications. He is preceded in death by his father Ed Stanley and his sister Beverly June. He is survived by his children Adam Stanley (Natasha) of Crum, WV, Samantha Robertson (Jeff) of Greenville, KY. Eddie Stanley of Crum, and Joe Stanley also of Crum, WV, his mother Edna Stanley of Crum, siblings Don of Maryland, Kitty of Crum, Larry of Tampa Florida and Matt of Crum, WV. He is also survived by his grandchildren Damien, Sunserra, Quistis and Racyn. Special mention is needed for his nephews, who are his sons at heart, Roland Salmons of Greenville, KY and Tony Salmons of Milton, WV and Isaac Dillon. He was loved by many and will be missed by all. Visitation will be at the Church of Jesus Christ in Jennies Creek, WV Tuesday May 15th, 2012 at 5:00pm and funeral services will also be at the church on Wednesday May 16th, 2012 at 11:00am. Burial will follow at the Stanley Family Cemetery in Mud Lick, WV. Roger Justice will be officiating. Paul Dorton Maynard Jr. 37 passed away on Friday May 11th, 2012 in Waverly, Ohio. He is preceded in death by his grandparents Chester and Thelma Maynard. He is survived by his parents Paul and Drema Maynard and Margie Mussetter Huff, his loving girlfriend Rachel Ellen Skaggs, four children Mason, Devin, Joshua and Krisi Jo, six siblings Jonathan Burns of Waverly, Ohio, Paula Maynard of Tomahawk, Ky, Malissa Maynard of Ohio, Connie Sparks of Piketon, Ohio and Charlotte McCoy of Tomahawk, Ky and April Zurface of Ohio and one grandmother Jennie Mussetter of Jamestown, Ohio. He is also survived by several aunts, uncles, nieces and nephews. Visitation will be at the Richmond-Callaham Funeral Home in Inez on Tuesday night May 15th, 2012 at 6:00pm and funeral will be Wednesday May 16th at 3:00pm. Burial will follow. Arrangements are under the direction of the Richmond-Callaham Funeral Home, Inez, KY.
George W. Farra, age 66, died suddenly May 13, 2012 at his home in Westerville, Ohio. He retired from Willamette Industries in 2007, a Vietnam vet, and member of Genoa Baptist Church. He is the son of the late Joseph Farra and Lessie (New) of Lovely, Ky. Surviving family members are his wife, Lois (Stanley) Farra, son, Joseph Carl Farra (Kim)-Crystal Lake, Illinois, Daughters, Michelle Farra-Nance (Greg)-Delaware, Ohio, and Mysti Farra- Westerville, Ohio. He has five grandsons, Jonathan, Andrew, Rocco, Joey and Dominick. Preceded in death by eight brothers, Samuel Rufus, James Henry, Joseph, Jr., Willis Thornton, Roy Lee, Carl Duane, William Robert, Jackie Lynwood, and three sisters, Josephine, Mary Lou and Gloria Dale. He has many nieces, nephews, brothers and sisters-in-law whom he loved very much. Funeral services will be at the Richmond-Callahan Chapel in Warfield, Kentucky. Viewing will be 11:00 am – 1:00 pm, Funeral at 1:00 pm on Wednesday, May 16, 2012. Burial will follow at the Perry Cemetary on Big Elk Creek Rd. in Beauty, KY. A memorial service will be planned at a later date in Columbus, OH. Margot E. “Peggy” Hankins – age 84 of Williamson, WV passed away Saturday; May 19, 2012 at the Appalachian Regional Hospital Skilled Nursing Facility in South Williamson, KY. Born February 10, 1928 in Neuruppin, Germany; she was the daughter of the late Heinrich and Ida Pritzkow Mansfeld of Germany. In addition to her parents, she was also preceded in death by her husband Earl Hankins. She was a member of the First United Methodist Church in Williamson. She is survived by only some close friends. 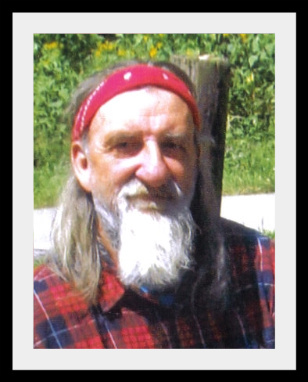 Elmer White Jr. – age 50 of Fort Gay, WV passed away Tuesday; May 15, 2012 at his home. Born July 14, 1961 at Naugatuck, WV; he was the son of Gladys Perry Shadd of Naugatuck, WV and the late Elmer White Sr. In addition to his father, he was also preceded in death by 2 sisters Gladys Irene Dempsey and Liddie Marie White, and his maternal grandparents Harve and Lydia Perry. Elmer was a retired coal miner and an avid hunter and fisherman. Survivors, in addition to his mother, include his wife Penny Clay White of Fort Gay, WV; 1 son William (Rebecca) White of Fort Hood, TX; 2 daughters Lisa (Chris) Keesee and Melissa (James) Cook both of Louisa, KY; 4 brothers James White of Charleston, WV, Richard (Darlene) White of Naugatuck, WV, Russell (Nettie) White of Delbarton, WV, and David (Lisa) White of Naugatuck, WV; 4 sisters Sarah (Clyde) Lackey of Lenore, WV, Mary Hinkle of Jennies Creek, WV, Melissa (Timmy) Jones and Carolyn (Brad) Baize both of Naugatuck, WV; his grandchildren Kaitlyn, Jacob, Raylan, Jonathan, and Aidan. Also surviving is a host of nieces, nephews, other family, and friends. Funeral services will be conducted Friday; May 18, 2012 at 11:00 A.M. from the Victory Christian Center at Lenore, WV with Pastor Terry Blankenship officiating. Burial will follow in the Maynard Cemetery on Big Branch at Naugatuck, WV with family and friends serving as pallbearers. Visitation will be after 6:00 P.M. Thursday at the Victory Christian Center with special services at 7:00 P.M.
Larry Ray Diamond – age 64 of Williamson, WV formerly of Nolan passed away Friday; May 11, 2012 at the Appalachian Regional Hospital in South Williamson, KY. Born June 1, 1947 in Pike County, KY; he was the son of Erna Mae Varney Diamond of Ransom, KY and the late Rev. J.L. Diamond Jr. In addition to his father, he was also preceded in death by a nephew Robert Ray Smith. Larry was retired from the Big Creek Bridge Company (Nolan Toll Bridge), and he was of the Jesus’ Name faith. Survivors, in addition to his mother, include 1 brother Chester Douglas (Vicki) Diamond of Wayne County, WV; 2 sisters Thelma Jo Plumb of Ransom, KY and Wanda Lea (James) Finley of Concord, NC; his caregivers Gloria Shortridge and his cousin Joy Collins; and a host of nieces, nephews, and cousins. A simple graveside service and burial will be held Tuesday; May 15, 2012 at 1:00 P.M. at the Mt. View Memory Gardens at Maher, WV. Visitation will be from 6-9 P.M. Monday evening at the funeral home. 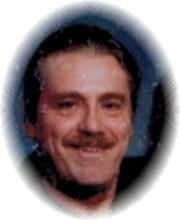 Everett Blankenship – age 56 of Newtown, WV passed away Thursday; May 3, 2012 at the Williamson Memorial HOspital. Born November 17, 1955 at Paw Paw, KY; he was the son of Cora Estep Blankenship who resides at Trinity Healthcare in Williamson and the late Cecil Blankenship. In addition to his father, he was also preceded in death by 2 brothers Tommy and Keith Blankenship. Survivors, in addition to his mother, include his wife Denise Estepp Blankenship of Newtown; his children Danielle and Logan both of the home, Amber Mahon (Jason) of Man, WV; Everett Floyd Mahon (Kim) of Duncan Fork, WV, and Amanda Blankenship of Asheboro, NC; 3 brothers Jerry (Jennifer) Blankenship of North Carolina, Mike (Jewell) Blankenship of Greensboro, NC, and Ricky (Lana) Blankenship of Ransom, KY; 3 sisters Dottie Blankenship (Johnny) of Newtown, WV, Lora (Ricky) Hinkle of Meador, WV, and Betty Blankenship of Red Jacket, WV; 3 grandsons Tyler, Ervin, and Maliek Blankenship of Asheboro, NC. Also surviving is a host of loving nephews, nieces, other family, and friends. Funeral services will be conducted Sunday; May 6, 2012 at 1:00 P.M. from the Newtown Free Pentecostal Church with Randy Casey and Gene Clemons officiating. Burial will follow in the Family Cemetery at Mark’s Branch; Newtown, WV with his nephews and other family and friends serving as pallbearers. Visitation will be after 6:00 P.M. Saturday evening at the Newtown Free Pentecostal Church. Ralph Edward Hunley Sr. – devoted husband, father, son, and brother, age 81 of Toler, KY passed away Saturday; April 28, 2012 at the Appalachian Regional Hospital in South Williamson, KY. Born June 30, 1930 in Toler, KY; he was the son of the late Leslie and Maude Hamilton Hunley. In addition to his parents, he was also preceded in death by a step-son Frank E. Mikailian; and 6 sisters Alma English, Audrey Rhodes, Barbara Hunley, Shelby Atkins, Wilba Hackney, and Betty Hunley. Ralph was a retired welder having worked for Metal Craft and Rectron, and he taught welding for a while at the Belfry Vocational School. He was a veteran having served in the U.S. Navy from 1947 to 1960. Survivors include his wife Imogene Mikailian Hunley of Toler, KY; 1 son Ralph E. (Charlotte) Hunley Jr. of Frankfort, KY; 1 daughter Margaret Hunley of Toler, KY; 1 step-daughter Linda Bradley of Omar, WV; 3 grandchildren Rocky Noe, Bill Noe, and Bethany Hunley; and 2 great-grandchildren Justin and Rachel. Funeral services will be conducted Wednesday; May 2, 2012 at 12:00 P.M. from the Hatfield Funeral Chapel at Toler, KY with Bro. Buddy Kendrick officiating. Burial will follow in the Mt. View Memory Gardens at Huddy, KY with family and friends serving as pallbearers. Visitation will be from 6-9 P.M. Tuesday evening at the funeral home. William Powell Whetstone – age 52 of Bartonville, IL formerly of Turkey Creek, KY passed away Friday; April 20, 2012 at his home following a lingering illness. Born June 30, 1959 in Lima, OH; he was the son of Essie Jane Norman Whetstone of Bartonville, IL and the late Adrian C. Whetstone. In addition to his father, he was also preceded in death by his maternal grandparents Claude and Edith F. Norman of McCarr, KY. He was construction worker and of the Baptist faith. Survivors include his mother and caregiver Essie Jane Norman Whetstone of Bartonville, IL; 1 son William P. (Melissa) Fuller of Pikeville, KY; 1 daughter Tiffany Jane Fuller of Lexington, KY; 1 brother Rodney A. Whetstone of Georgia; 1 sister Sally L. (Mark) Enzle of St. Mary’s, OH; 1 granddaughter Hannah Grace Fuller of Pikeville, KY; 1 niece, 1 nephew, and a host of friends. Graveside services will be conducted Thursday; April 26, 2012 at 2:00 P.M. from the Farley Cemetery at McCarr, KY and burial following. 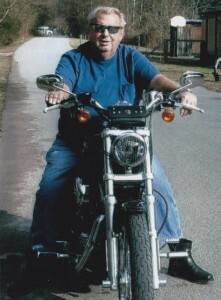 Dennis Ray Lowe – age 61 of Hatfield, KY departed this life on Friday; April 20, 2012 at his home. Born October 1, 1950 in Pike County, KY; he was the son of Eula Maynard Lowe of Williamson, WV and the late Avery Lowe. Dennis was veteran having retired from the U.S. Air Force and served in the Vietnam War. Survivors, in addition to his mother, include his wife Karen sayers Lowe of Hatfield, KY; his son Joseph; his daughter Michelle; 2 brothers Tim Lowe of Kentucky and Bob Lowe of Michigan; 5 sisters Sue Hall of Kentucky, Sheila Burke of Michigan, Dreama Justice of Kentucky, Latona Bowkamp of Kentucky, and Betty Kennard of Tennessee. In honoring Dennis’ wishes, the body will be cremated and no viewing will be held. Family and friends are invited to a celebration of Dennis’ life and Native American Crossing Over Ceremony which is being observed at his residence at 46 Spring Branch; Hatfield, KY until Monday night. 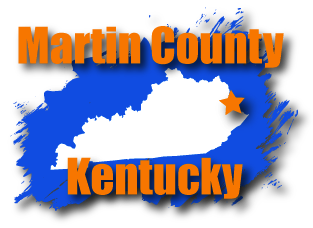 James William Gartin – age 67 of Toler, KY passed away Thursday; April 19, 2012 at his home following a lingering illness. Born March 22, 1945 in Columbus, OH; he was the son of the late Hubert Gartin and the late Marie Brown Lester. 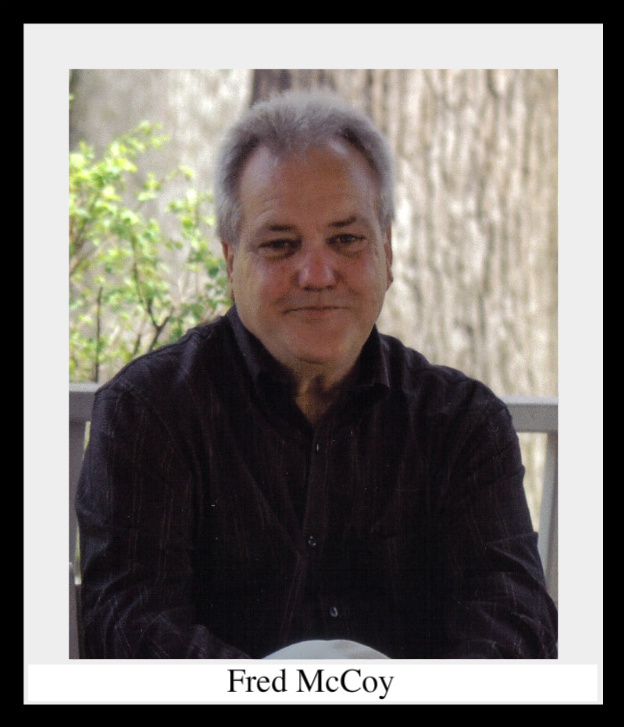 Jim was a retired warehouse worker in Ohio and a member of the McVeigh Baptist Church. Survivors include his wife Louise Justice Gartin of Toler, KY; 1son James Hubert Gartin of White Hall, OH; 3 daughters Rheta Marie McClain, Marcella Sue Lane, and Kathy Lynn Johnson all of Columbus, OH; 1 brother Eugene Gartin of Pickerington, OH; 1 sister Joan Gossett of Columbus, OH; his mother-in-law Marie Justice of Toler, KY; 14 grandchildren, 7 step-grandchildren, and 3 great-granddaughters. Funeral services will be conducted Sunday; April 22, 2012 at 1:00 P.M. from the Hatfield Funeral Chapel at Toler, KY with Charles Justice officiating. Burial will follow in the Mt. View Memory Gardens at Huddy, KY with family and friends serving as pallbearers. Visitation will be from 6-9 P.M. Friday and 10:00 A.M. till 9:00 P.M. Saturday at the funeral home. Bobby Gene Crum – age 58 of Stamping Ground, KY formerly of Martin County, KY was called home to be with the Lord on Monday; April 9, 2012. Born August 7, 1953 in Williamson, WV; he was the son of the late Colbert and Dixie Burgett Crum. In addition to his parents, he was also preceded in death by his wife April Crum and his son Bobby Dewayne Crum. He was a former coal miner and was of the Baptist faith. Survivors include his daughter and son-in-law Brandy and Jason Boblitt of Stamping Ground, KY; a very special grandson Mason Dewayne Boblitt of Stamping Ground, KY; his brothers James (Teresa) Burgett of Lexington, KY, Jerry (Karen) Crum of Hardy, KY, Larry Joe (Charlene) Crum of Cleveland, TN, Danny (Elwynn) Crum of Nolan, WV, and Rusty (Joyce) Crum of Turkey Creek, KY.
Funeral services will be conducted Friday; April 13, 2012 at 12:00 P.M. from the Hatfield Funeral Chapel at Toler, KY with Bro. Ray Taylor and Bro. Earl White officiating. Burial will follow in the Mt. View Memory Gardens at Maher, WV with family and friends serving as pallbearers. Visitation will be from 6-9 P.M. Thursday evening at the funeral home. PreviousCoal Economy Hurting; Are Layoffs and Shut Downs a Trend?